Here is a map displays territory of Russia. detailed map of Tyuguryuk 1 cm to 1 km presented. detailed map of Tyudet 1 cm to 1 km for Garmin. map of Malyy Sugash 1 cm to 1 km presented. 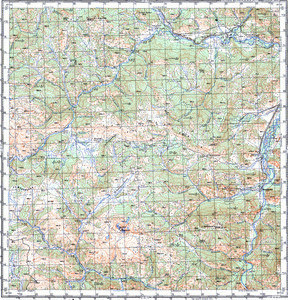 free map of Krasnoyarka with gps calibration free download. actual map of Kaytanak with gps calibration displayed. detailed map of Maralovodka download for free. actual map of Menovnaya with gps calibration displayed. map of Chernushka with gps calibration for you. detailed map of Siniy Yar и OziExplorer calibration for gps.